Chambord® Black Raspberry Liqueur announces revolutionary brand developments for Chambord Liqueur and new product, Chambord Flavored Vodka. Chambord, the iconic liqueur known for its natural black raspberry flavor and unforgettable orb-shaped bottle is set to hit shelves with a contemporary new look and its first-ever line extension in Chambord Flavored Vodka – a balance of premium quality French vodka infused with Chambord Liqueur. Just like Chambord Liqueur, Chambord Flavored Vodka is presented in the distinctive orb-shaped bottle, and made in a state of the art facility on the grounds of La Sistiere, a chateau nestled in the Loire Valley of France. 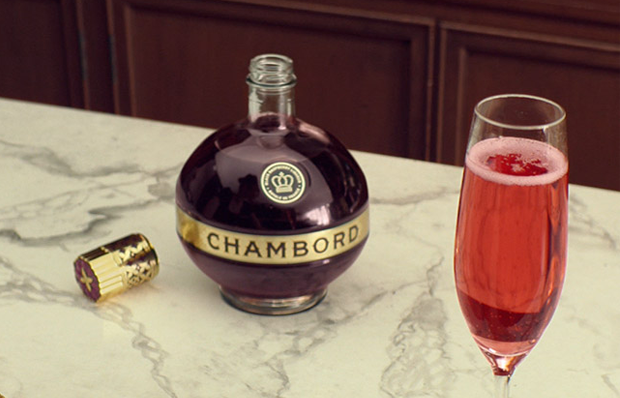 Both Chambord Liqueur and Chambord Flavored Vodka embody the French heritage, natural ingredients, distinct flavor and iconic look the Chambord brand has always delivered.